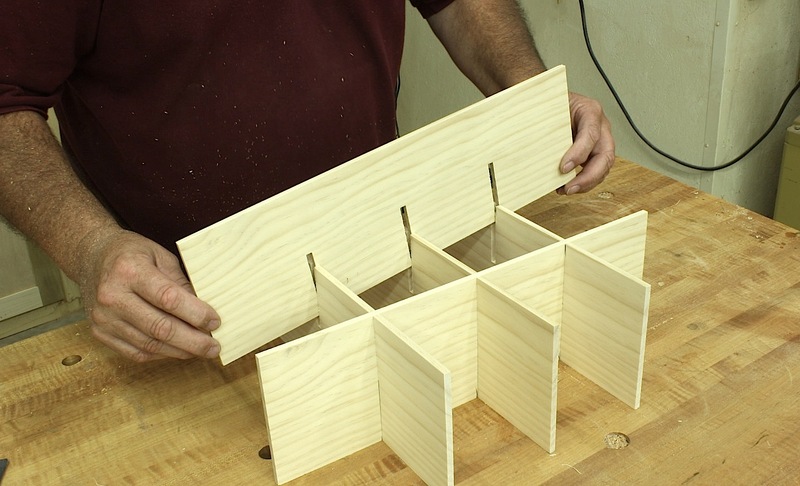 Why do you put the angles on the jig? I can see the angle only on one end? 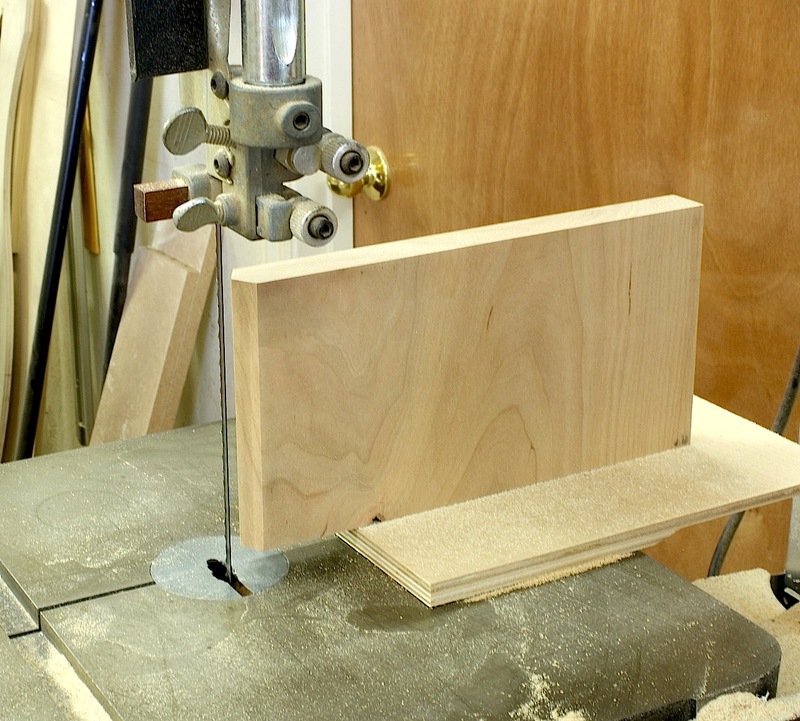 I have done cuts similar to this and is the rocking jig so you can be parallel to the blade? Ever since I put bearing guides on my band saw , I feel confident in just cutting on the line without a jig. The wood has to be square before cutting of course. TomG, the angle is only on one end, the end placed closest to the blade. 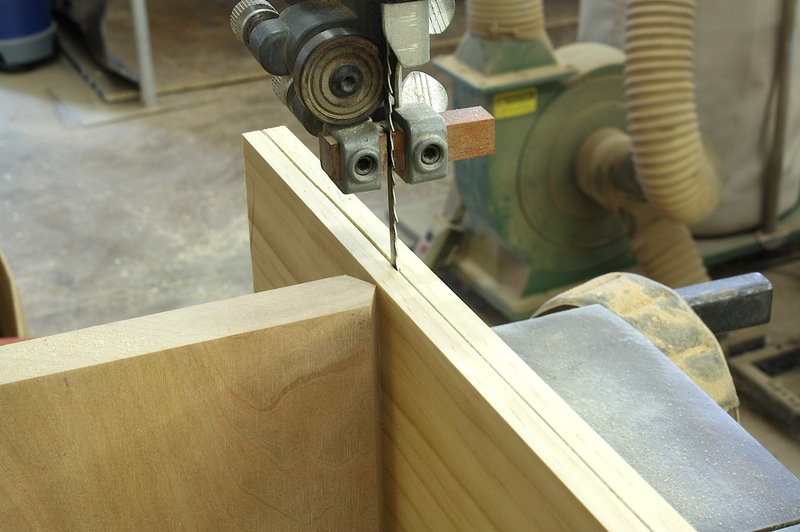 The angle makes adjusting the workpiece easier as you keep the cut straight. 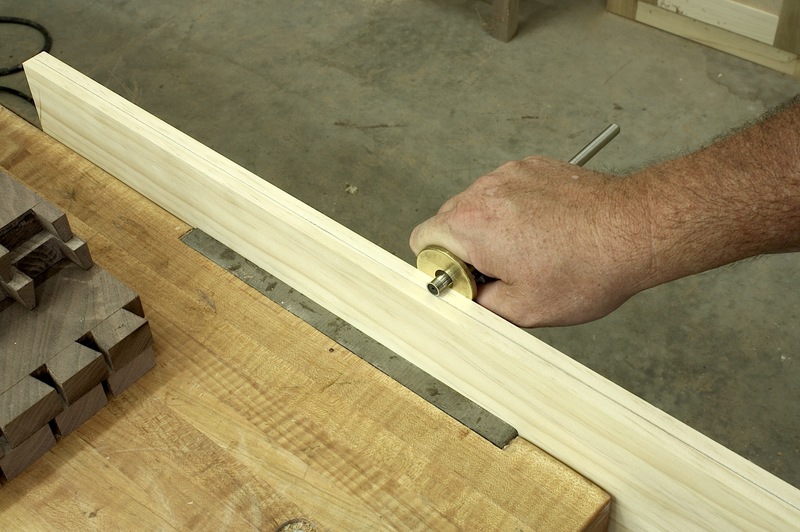 If the end of the jig was simply cut square, there would be a flat area at which there may be a catch as you adjust. Cutting to your line is also an acceptable method however, the jig makes the operation easier due to the vertical guide right at the point of contact with the blade. You are not required to hold the stock perfectly vertical while riding on a 3/4″ (or narrower) surface. Sorry miss read –” I cut a 30-degree angle from both faces,” to mean you did it to the platform you clamp to the table. The picture looks like it is an angle? Now I understand what you wrote, thanks. Not quite there yet. I angle from both faces in that I cut with the board flat to the table , then flip the board so its second face (back side, if you will) is flat to the table and make a second cut on the same edge. This establishes the point of the jig at the center of my 3/4″ fence.